Author of the book, "Utah Place Names"
Many people in Utah have the book "Utah Place Names" in their libraries, but few know much about its author, John Waldemar Van Cott. John was born to Frank Victor Van Cott and Annie Anderson Van Cott on June 24, 1911, one of their six children. He grew up in Salt Lake City, Utah. 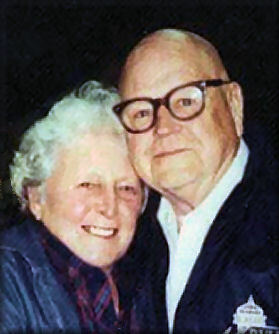 John met and married Emily Schoenhals in the Salt Lake Temple on August 12, 1937, followed by a honeymoon on their Harley-Davidson to the Pacific Coast. They loved the outdoors -- skiing and hiking in the mountains. The Van Cott children knew that family came first, and they all loved nothing more than piling into their station wagon and heading for the ocean. John began his career in biology by working for the U.S. Grazing Service and Forest Service. When World War II broke out, he served as a Sergeant and then Lieutenant in police security surrounding the Atomic Bomb Project in Washington D.C.
After the war, with his degree from Utah State University and his love of nature, he opened his own business, the Van Cott Pet Shop & Aquarium. In 1960, John and Emily Van Cott moved their family to Utah Valley where he joined the BYU faculty and taught biology at BY High School. As the years went by, he moved to the Upper Campus where he was a faculty member in the BYU Botany Department for 16 years. He served as the supervisor of the General Botany Laboratories in the Botany and Range Science Department. 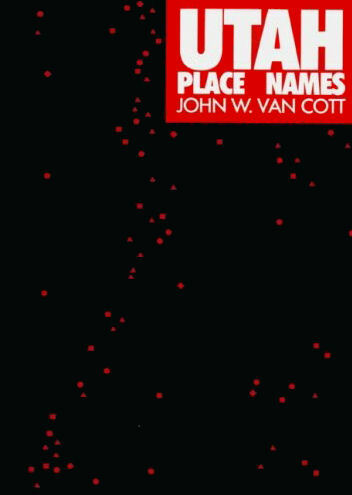 When John Van Cott retired in 1976, the year of the US Bicentennial, he went on to complete and publish his dream project, a book, "Utah Place Names". It is through this book that his work continues to be current and fresh in the minds of many people in Utah. Take a look at the Utah map, and you'll see a wide range of place names. The origins of some are fairly obvious if you know a bit of Utah history: Hyrum, Brigham City, Nephi. But others are more obscure. Where did names like Lindon, Pickleville and Recapture Canyon come from? What about Drunker Hollow and Lousy Jim Creek? John W. Van Cott, a former professor of botany and range science at BYU, a member of the Utah State Committee on Geographic Names and president of the Utah Place Names Society, has spent the better part of his life seeking the answers to such questions. His efforts have been compiled in "Utah Place Names," which presents details of more than 4,000 names. "I have visited most of these places," he notes in the foreword, "and each has a unique story. Donald Jackson's words are true: `Yet, I wrote my notes with immensely greater confidence, having been there.' "
The places are arranged alphabetically, and most are pinned down geographically as to section, township, range and altitude. The book is scholarly and complete - but it is also a lot of fun. Van Cott includes the folklore, the myth and mystery, the logic and reasoning that have made our map what it is. This is a great book for browsing in, for starting conversations with, for simply enjoying as a window on the past. Oh yes, Lindon was named for a linden tree (the pioneers were not always great spellers); Pickleville was named for engineer Charles C. Pickel who improved the town's water supply; Recapture Canyon was where some early settlers believed the Aztec emperor Montezuma hid out and was retaken. Miners congregated for drinking sprees at Drunker Hollow, and Lousy Jim Creek was named for a local sheepherder afflicted with a bad case of lice. 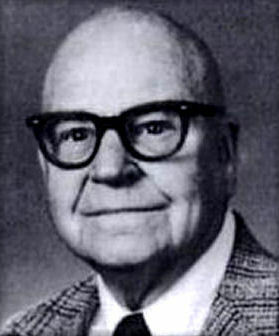 Van Cott was a charter member of the Utah State Committee on Geographic Names, and served as Founding President of the Utah Place Names Society. John Van Cott was a strong member of the Church of Jesus Christ of Latter-day Saints. He served in bishoprics, quorums and auxiliaries of the Church. John Waldemar Van Cott was, by the age of 94, a great-grandfather. He died on Tuesday, March 7, 2006. He was preceded in death by his wife of 64 years, Emily Schoenhals of Salt Lake City, and his oldest daughter, Ann Van Cott (Jim) Palmer of Kentucky. Van Cott was survived by three of his four children, John F. (Trudy) Van Cott, Robert J. (Barbara) Van Cott, and Linda Van Cott. He also had 24 grandchildren and 44 great-grandchildren by that time. He often said in his later years, "I've had a wonderful life."